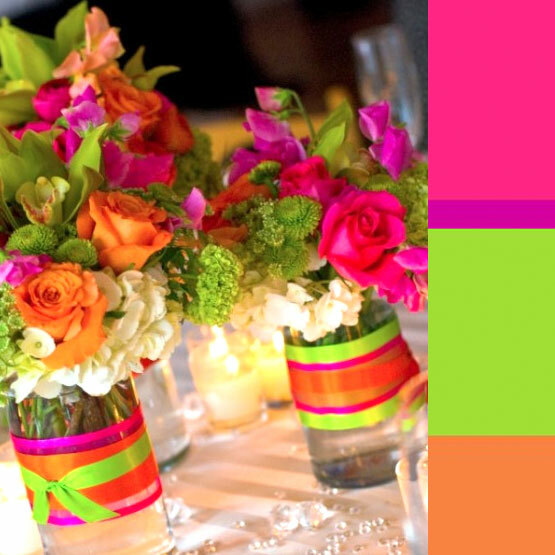 Using flowers in bright colors designed in eye catching combinations means you can use less flowers and arrangements to make an impact at your event. Mucho Caliente! The second centerpiece added so much to the overall impression of the room. The colors popped off the ivory tablecloths and gave a festive feel to event. Both centerpieces decorated the tables nicely. 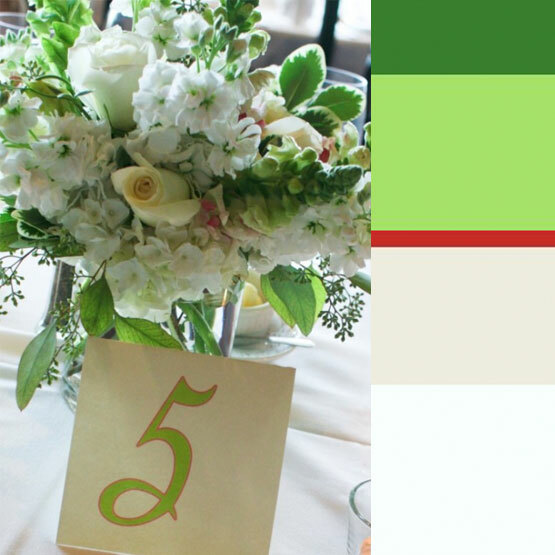 But if you were a guest at both weddings, which centerpiece would leave a lasting impression in your mind? 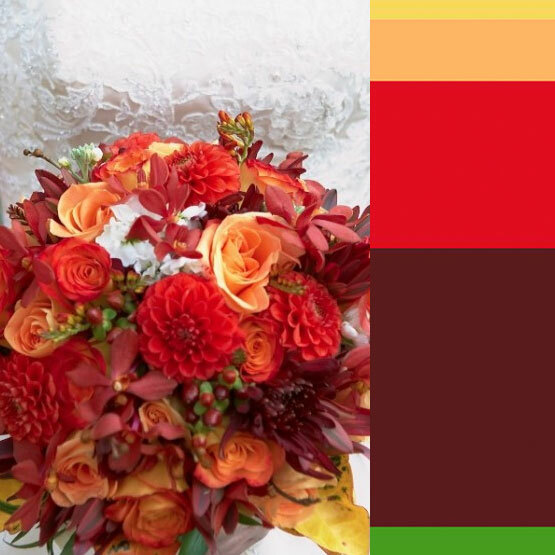 Interesting flowers, details, textures and patterns will also add visual excitement to your floral designs. Anytime you add unexpected elements you will leave a memorable impression on your guests. This bouquet is different and fun because of the flower and ribbon choices. Just the perfect bouquet for the outdoor wedding at a rustic barn for which it was designed. 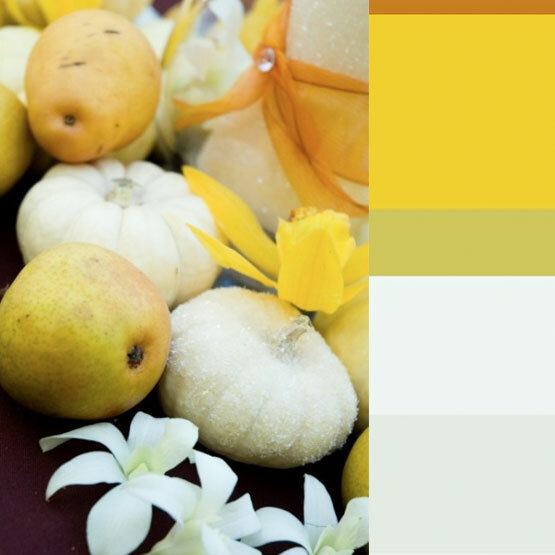 The centerpiece at this wedding was a large candle surrounded by a ring of Seckle pears and glittered mini- pumpkins. Adding the glitter to the pumpkins upped the novelty factor of this Fall centerpiece. 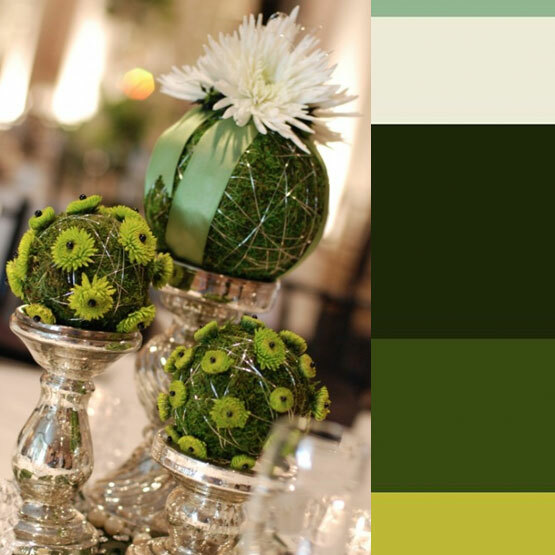 Using moss pomanders accented with flowers, wire and ribbon made for a different but fun centerpiece. 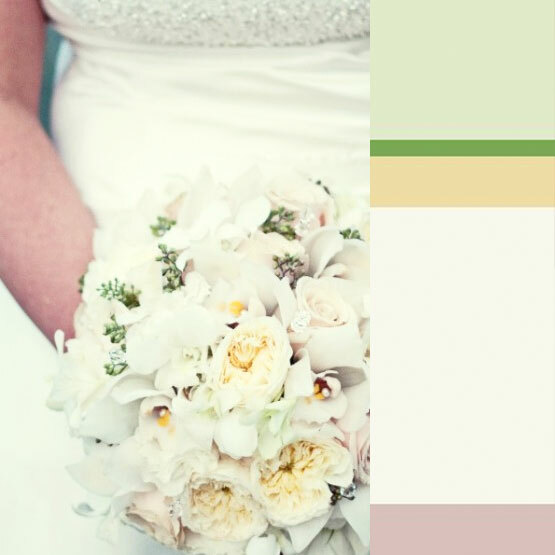 Using succulents in wedding flowers has been a trend for the last couple of years. I love this look for a couple of reasons. It is a great way to add some unexpected elements to the floral designs and the succulents make a lasting keepsake. After the wedding they can be planted! Have fun with your flowers and wedding decor. Add color, add texture and some crazy decorative elements. Your guests will love you for it and so will your budget! www.flourishdesigns.comShannon has been playing with flowers for over 23 years. 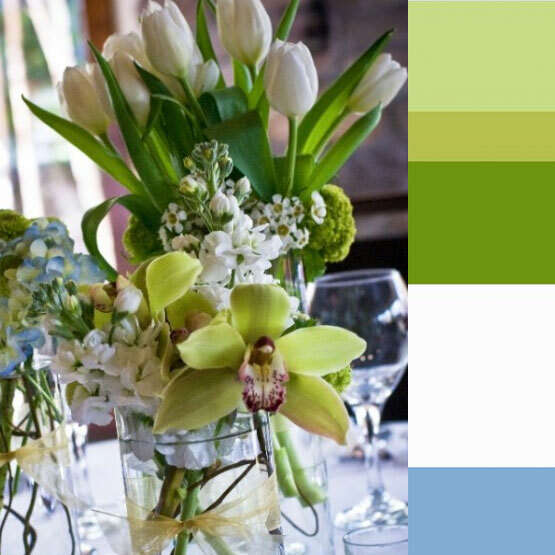 Most of which has been spent as a Special Event Floral Designer and the Owner of Flourish in Sacramento, Ca. She also writes pithy and informative posts for Fancy Pants Weddings. 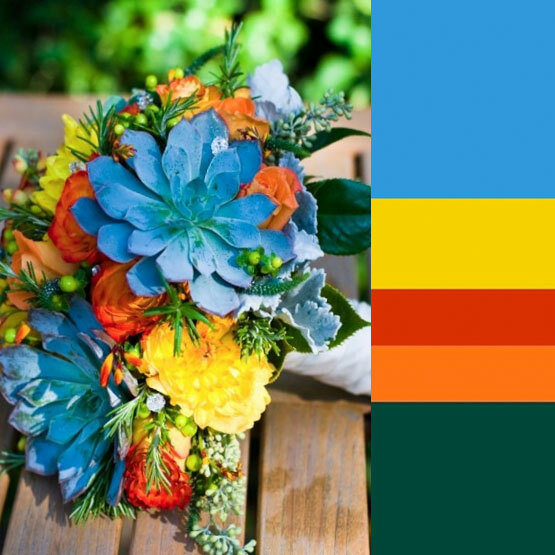 A blog that offers advice to brides and grooms and features Northern California weddings. Shannon is wife, mom, daughter, sister and many other things to many people. But mostly her life is filled to the brim with love, laughter and all kinds of goodness. Thums up for you both girls! This was a great post and very inspiring! 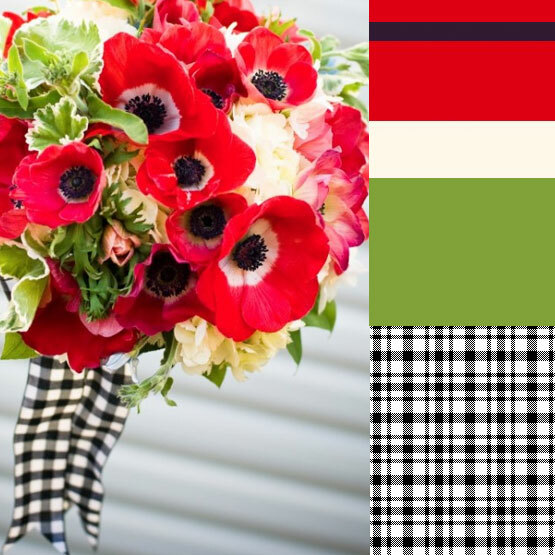 The bouquet with the poppies is just delightful! The idea for the succulents is genius! 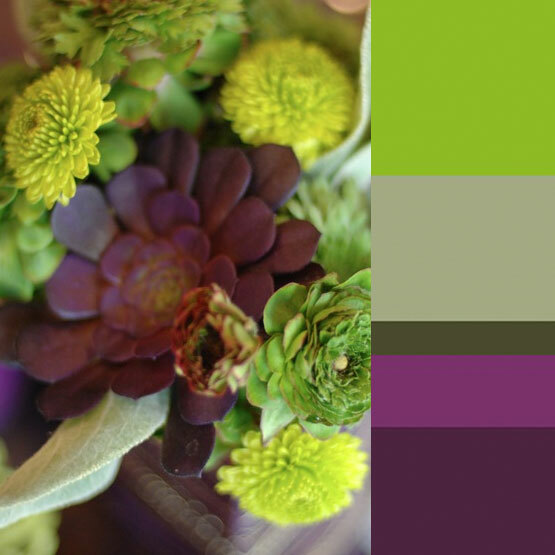 They have such rich purples and greens. 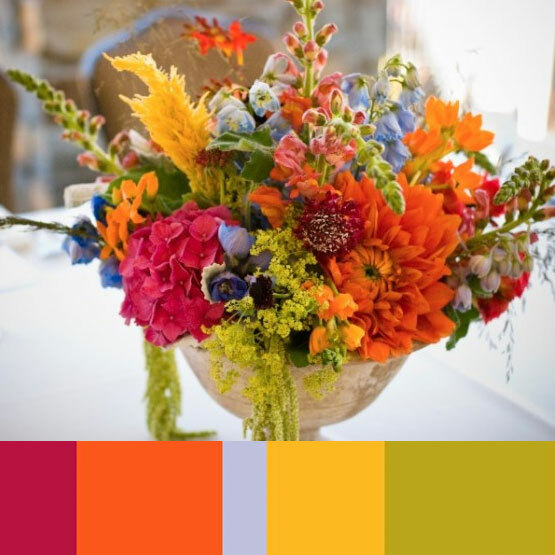 Great palette. I also LOVE the mini glitter pumpkins. That centerpiece is so gorgeous! Amazing ideas.